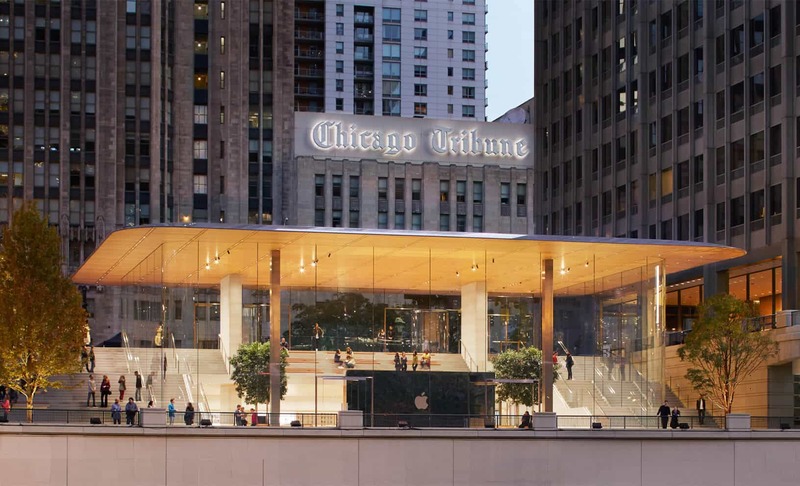 On Thursday, Apple announced the launch of its new Chicago store on Michigan Avenue and new events to be hosted at the new Apple store. 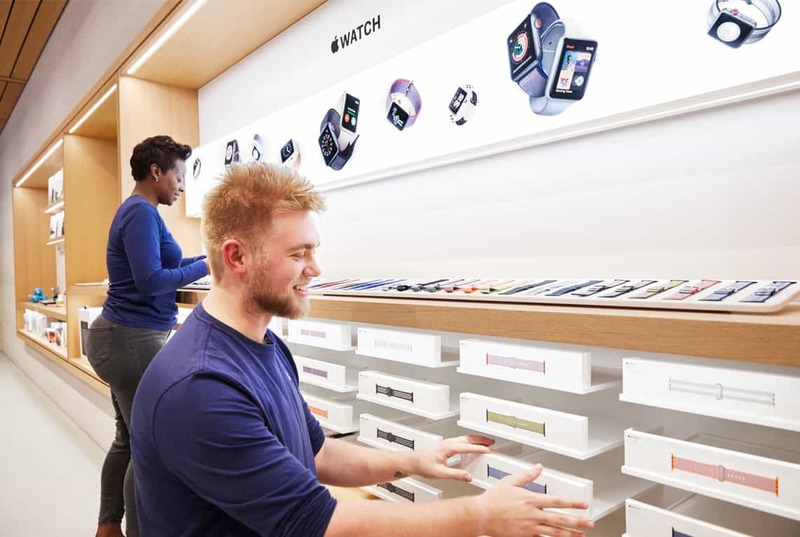 Apple’s latest Apple Store is one of its most ambitious. Located on Michigan Avenue in Chicago, the store is designed with community in mind and connects North Michigan Avenue, Pioneer Court and the Chicago River. 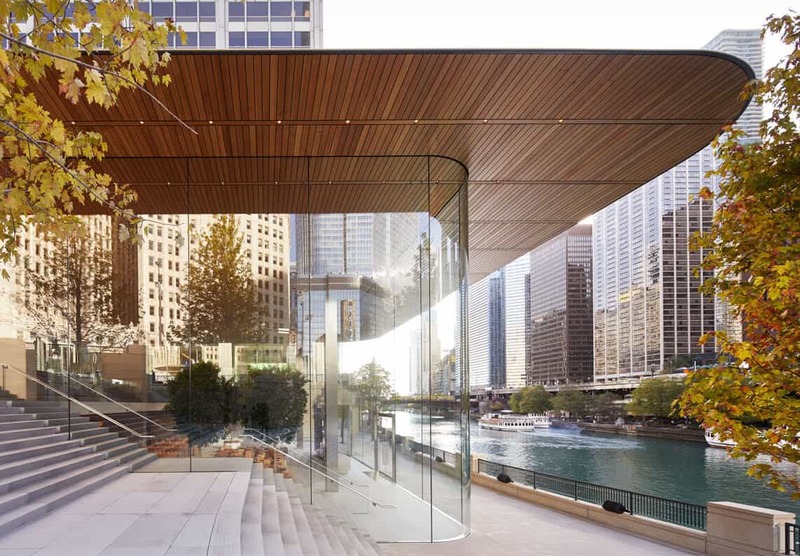 Apple worked closely with the city of Chicago, reviewing historical records, to develop the store design on the riverfront in the heart of the city. Apple also is hosting a series of events in Chicago for a month to give guest attendees an opportunity to use their latest tools and gain some education and insight in pursuing their passions. From photography to music, coding and app design. The store opens Friday Oct 20, 2017. The new store, the second on North Michigan Ave where Apple opened its first store in 2003 that has welcomed over 23 million guests since its launch, demonstrates Apple’s commitment to eco-friendly design with a data center powered by renewable energy and solar cells and building a welcoming place for community gatherings. The store is transparent and has granite staircases on both sides that open up views from the plaza to the river while the roof is built with light carbon fiber. 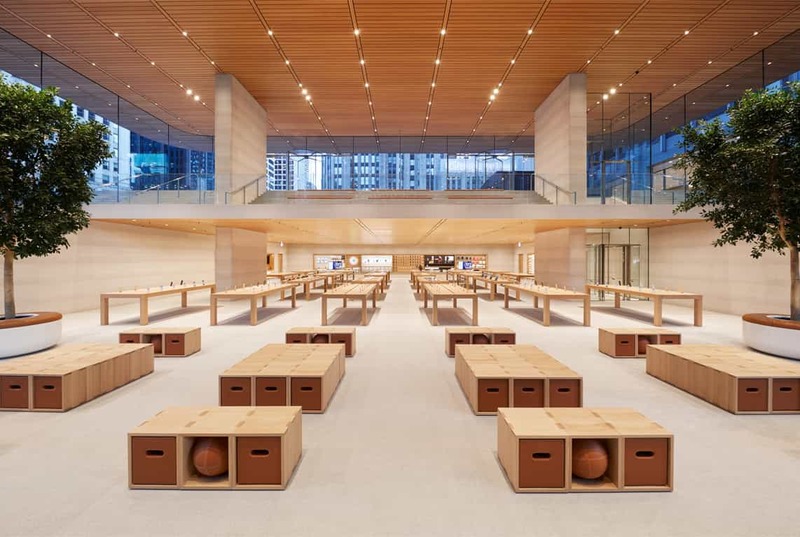 The interior resembles many Apple flagship stores with trees, wooden shelving similar to fashion stores and large event spaces with seating. The store will launch The Chicago Series of events starting this Monday. This consists of five programs with a different focus for each over the course of four weeks. Each program intersects technology with liberal arts and has been created with input from local non-profits and creative organizations, with the goal of creating a positive impact on the local community. Sessions are free and just require registration at www.apple.com/today. Accelerate Your Startup Idea with 1871: to help budding entrepreneurs develop their ideas into a business. The finalist will gain support from 1871, a non-profit digital startup incubator and Apple. Creative Collaborative Art: to create a new piece of art with local artist Theater Gates and the Black Monks of Mississippi, a performance arts ensemble. Prototype a Civic App with BLUE 1647: to teach how to develop an app concept that serves community needs. The top app developer will receive ongoing mentorship from BLUE 1647, a local tech innovation center and Apple. Photograph Chicago with VSCO: to teach photographers how to capture the subtleties of neighborhoods and the people who live there. The most compelling work will be featured at a Today at Apple program and via VSCO social media. Cultivate Your Voice with Young Chicago Authors: to encourage storytelling and sharing via poetry, rap and graffiti. The program ends with a slam poetry open mic night with Kevin Coval, a leading voice in Chicago’s music community.